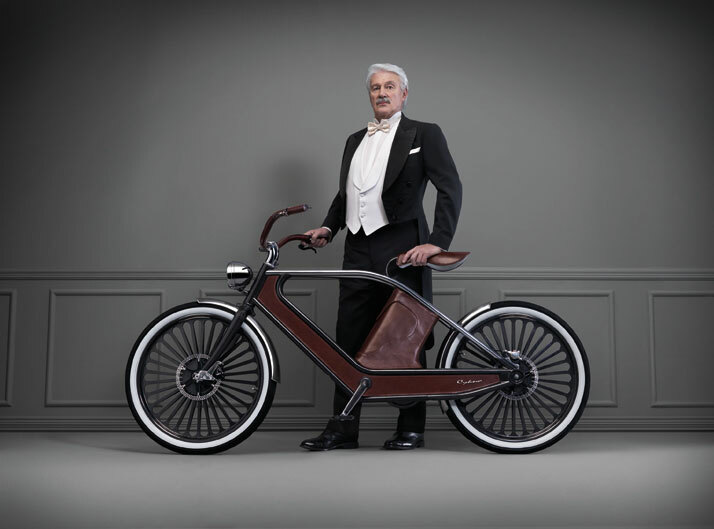 During the upcoming Milan design week from April 9th to 14th 2013, don’t be surprised if while walking around the famous districts of Tortona, Brera, Lambrate and Porta Venezia, a gentleman in a tuxedo, a man wearing a kilt or a lady wearing an elegant evening dress whizzes past you on a Cykno bike! The name Cykno comes from the Greek word κÏκνος (kýknos) and from the Latin word Cygnus, both meaning swan. In Greek mythology, Leda, the daughter of the Aetolian king Thestius, was seduced by Zeus disguised as a swan who fell into her arms to escape an eagle chasing him. When a mythical person or god changes form to become something else, the term is metamorphosis (English: transformation). 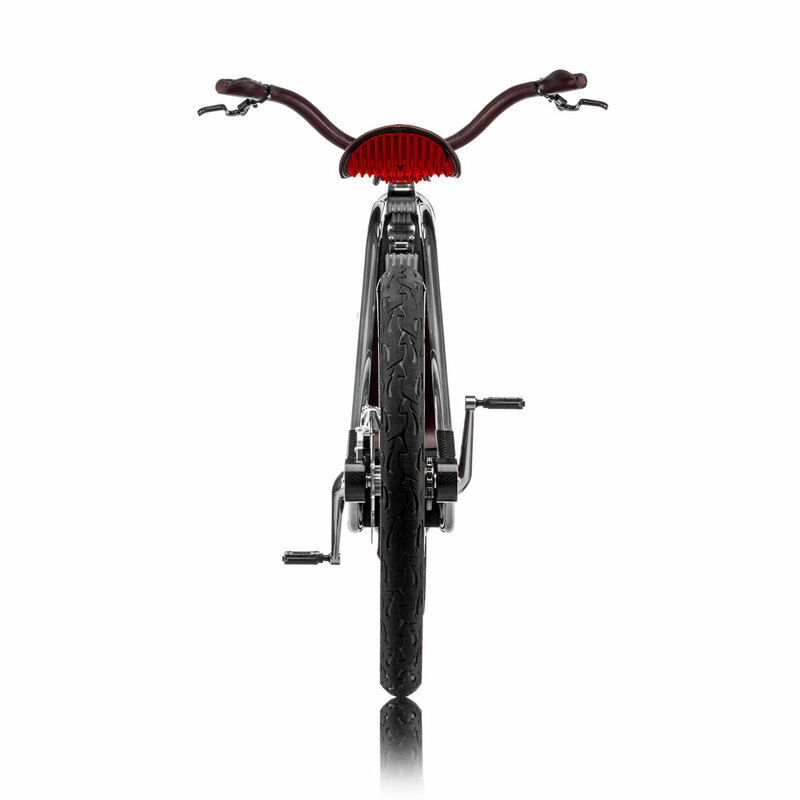 The brainchild of Bruno Greppi, in collaboration with the designers Luca Scopel, Gianpietro Vigorelli, and the guru of Italian advertising of the last 30 years Riccardo Lorenzini also participated in the creation of the Cykno bike. 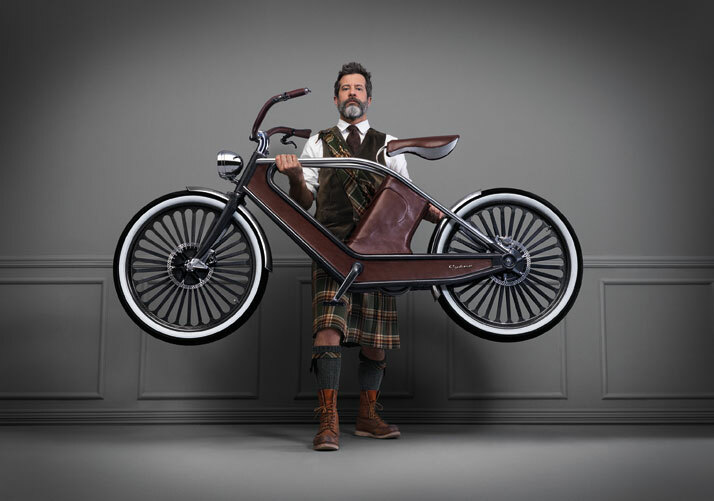 This new generation electric bicycle that combines vintage design lines, innovative and precious materials, sophisticated technology and a production strictly ‘Made in Italy’ has the power to ''transform'' you into the most stylish biker as you whizz around your own city’s streets on it. photo by Marco Craig, Courtesy of Cykno. 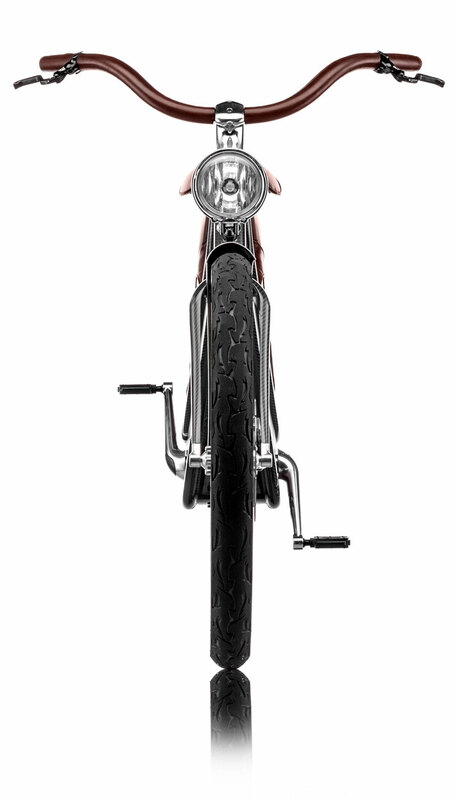 Cykno is composed of a monocoque frame, radial spokes wheels and front fork made in carbon fiber and stainless steel pipes. 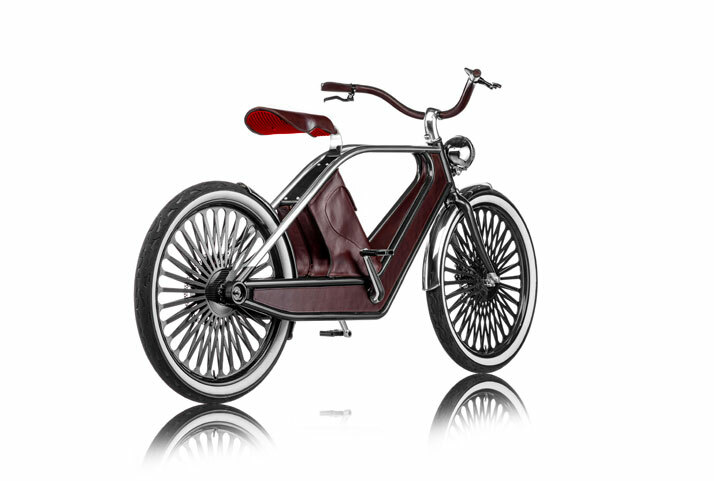 Every element of the vehicle is crafted and produced following a specific design. 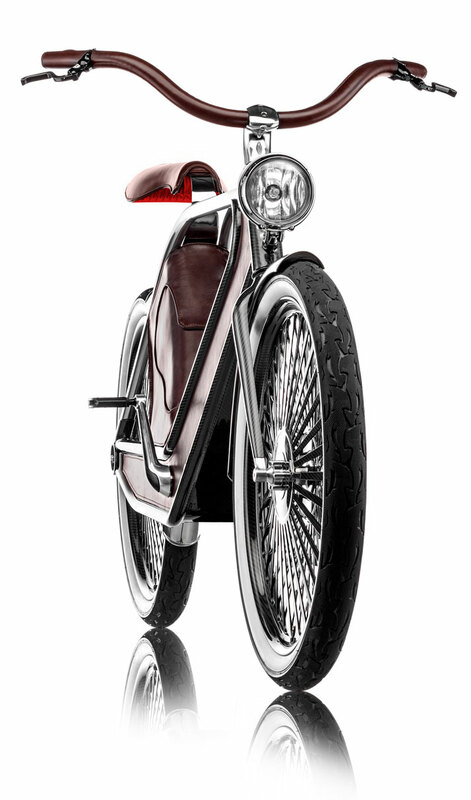 The unusual seat is suspended on a stainless steel blade and upholstered with fine and selected leathers; the same precious leathers are used to upholster the handlebars and other parts of the frame. 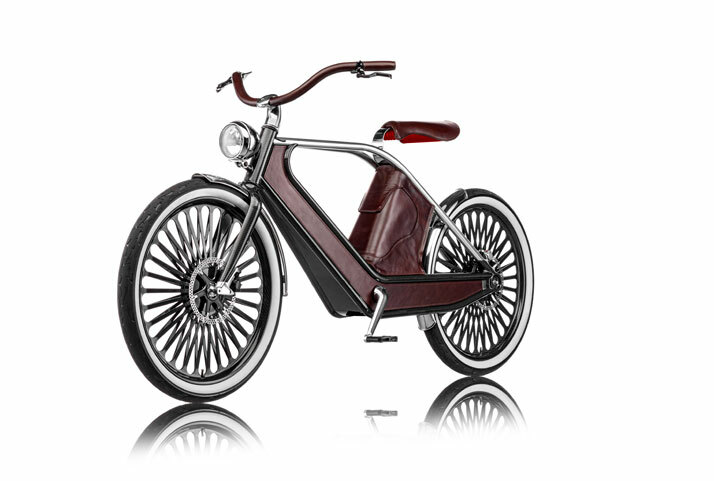 Central motor with latest technology, lithium polymer battery with high energy density. 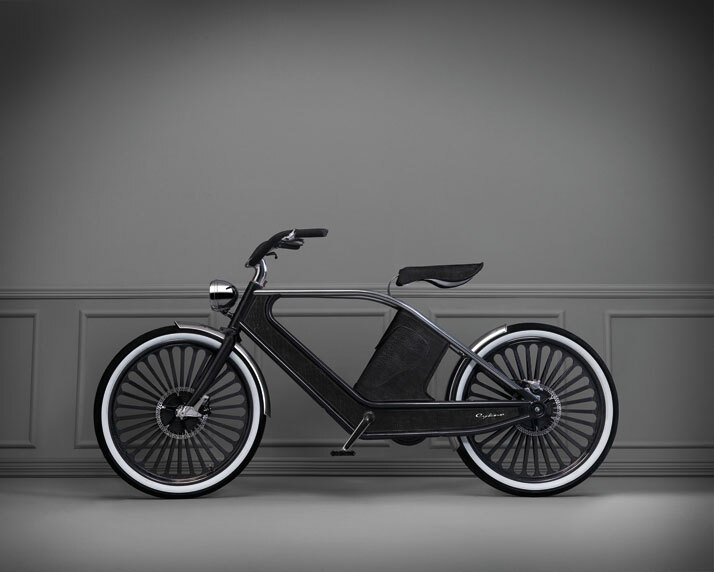 Cykno may praise itself of circa 60km of autonomy, 250/500 watts of power, weighing a total of 26kg.